With Week 2 wrapping up, there are already a couple of surprise starts. I doubt anybody had Guelph winning 3 of their first 4 games, or that Ryan Moore on Flint would lead the league in scoring. While it’s too early to tell if these trends could be sustained for a full season, week three would indicate which teams have some staying power. 4. Sault Ste. Marie Greyhounds (LW: 10) – Tightened up the defence, and took down London, Windsor and Sarnia. Winners of their past four games. 5. Windsor Spitfires (LW: 2) – Starting to get some of their stars back from NHL camps. Crossing their fingers they get Mikhail Sergachev back soon. 6. Sarnia Sting (LW: 3) – Tough match-ups against Flint and Sault Ste. Marie, but still very much in the thick of things. 7. London Knights (LW: 6) – Tough 3-2 loss to Sault Ste. Marie, but should benefit from players being sent back very soon. 8. 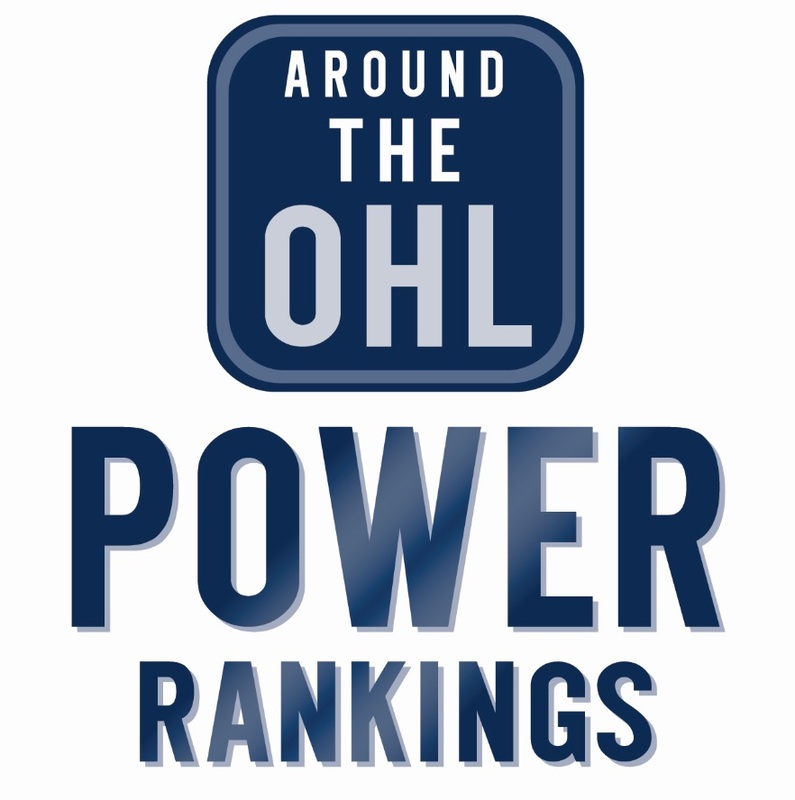 Guelph Storm (LW: 9) – Beating Owen Sound is nice, but still need to get one more big win to move up any higher in the rankings. 9. Ottawa 67’s (LW: 11) – Being second in the league in goals scored doesn’t mean much when you’re first in goals against. 10. Barrie Colts (LW: 8) – Should have beat Sudbury, losing in OT, although the London game was a different story. 11. Oshawa Generals (LW: 18) – Won a revenge game against Peterborough, then notched a 5-2 win over the Spitfires. 12. Sudbury Wolves (LW: 16) – Keep following up nice wins with big losses, but could move up if they ever find some consistency. 13. Peterborough Petes (LW: 15) – Traded 4-1 games with Oshawa, and beat Niagara. Could move up by beating either London or Sarnia this week. 14. North Bay Battalion (LW: 12) – Uncharacteristically won a game because of their offence, and lost a game due to a lack of defence. 15. Mississauga Steelheads (LW: 13) – May have players at NHL camps, but the defence corps is largely untouched, and currently bleeding goals. Major concern. 17. Owen Sound Attack (LW: 14) – How did they score seven goals against Hamilton, and then can only score a total of six in their other three games? 18. Niagara IceDogs (LW: 5) – Waaaaaaaaay too high last week. Put too much stock into a good opening night win, but at least their losses aren’t blowouts. 19. Kingston Frontenacs (LW: 19) – Aside from a 4-0 win against Niagara, Kingston hasn’t been able to kind any sort of scoring. 20. Saginaw Spirit (LW: 20) – Rough opening schedule, but five goals in four games isn’t even close to being good enough to cut it.